Dental implant procedures offer a permanent solution for tooth loss. They provide you with a replacement tooth or set of teeth, fixed onto an implant by connecting it to bone tissue. With dental implants, you can talk, eat, and smile like you would with natural teeth. There are multiple reasons why dental implants are an ever more attractive option for dental treatment. For dental implants to have a long term success, they must fuse to the bone in a process known as osseointegration. 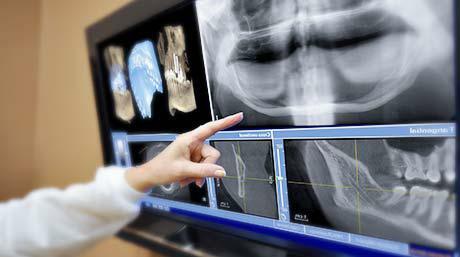 For this to occur, the patient needs a particular volume and a sufficiently dense amount of bone. The usual dental implant treatments use titanium screw like devices which are fitted into the patient’s jaw, allowing the replacement teeth to be set on top. Patients who have a weak jawbone, or who’s jaw has deteriorated from tooth loss, oral cancer, or from wearing dentures for a prolonged amount of time, can be denied dental implant treatment. There is a good reason for this, as dentists would attest. The dental implants will almost certainly fail if they cannot fuse properly. In the past, there would be only two options available to a patient who did not qualify: settle for dentures or undergo an extensive bone grafting treatment, which is both costly and highly invasive. Thankfully, modern dental implant solutions are available for people with weak jaw bones, and one of these dental implant treatments is called the “No-Bones Treatment” developed at the Pi Dental Center, by Thomas Balshi. This method uses a combination of the latest technology, highly personable treatment tailored to the patient’s exact mouth, and longer implants such as zygomatic implants to reach dense bone that will allow for stronger osseointegration. 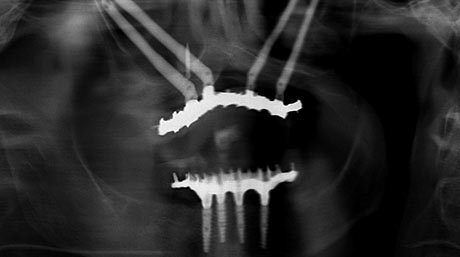 The No-Bones treatment utilizes the CT Scan, which produces perfect 3D imagery of the patient’s jaw and mouth, and can be used by specialists to design and create a unique implant treatment for the patient. The implants are then fitted partly by hand, and partly by computer guided implant surgery. The patient’s severely atrophic maxilla (jaw) can also improve with a precision screw retained rehabilitation. The implants are often placed deep into the cheekbone, where they can fuse successfully. The solution depends heavily on the use of the technology, and the accuracy of the modeling and designing process before the surgery. This procedure ensures a comfortable fit for everyone and a high success rate for the treatment. The No-Bones treatment gives many people who would have otherwise been denied treatment, the opportunity to enjoy dental implants which hold in place perfect replacement teeth; teeth that feel natural and fully functional. The first session consists of the initial consultation and diagnosis. The prosthodontist will examine your mouth to see whether you require dental implants and whether the No-Bones solution is appropriate for your situation. If so, they will record your jaw relationship, and take a dual CBCT scan to model your mouth and to assist in the virtual planning. The second session will be the day of your dental implant surgery, and you will have your implants set into your cheekbone. The prosthodontist will then fix a temporary screw-retained set of replacement teeth for you so that you walk out on the day of surgery with a functioning and an aesthetically pleasing set of fixed teeth. This is known as ‘Teeth in One Day’. You will come back 13 weeks after your implant surgery, and final impressions will be made and sent to the laboratory for the final prosthesis construction. This is when your implants are set and healed, and although your temporary teeth will already be comfortable, the permanent set made now will ensure perfect accuracy and a snug fit. A final appointment with your dental implant dentist to have your permanent set of fixed replacement teeth installed on your dental implants. The No-Bones Treatment For Me? The No-Bones treatment is especially useful for people who have severely atrophic maxillary bone, and who would not have a high chance of success or comfort with the usual dental implant procedures. No-Bones allows such patients the opportunity to have a new set of replacement teeth, without the need for any extensive bone grafting. The procedure, although highly technologic, is simple for the patient, and remains very non-invasive. Your dental implant dentist of prosthodontist might recommend the treatment if they decide you are a suitable candidate and would benefit. Contact Friedman Dental Group today to find out more about dental implant treatment options, or to arrange a free consultation.